I was surprised to find that the Deephaven Parks Committee has cancelled this community event featuring the "worlds smallest triathalon" (my name for it). 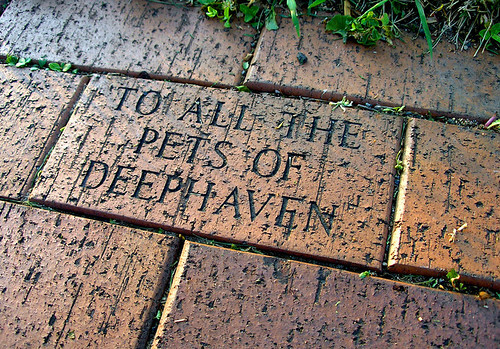 I have never participated in this event, and it seems that most Deephaven residents did not either. The majority of the participants of the triathalon were from out of town. This was contrary to the events goals, so the Parks Department has decided to rethink the event. (A triathalon, no matter how small, involves a lot of volunteers and cumbersome logistics). I have a few sugestions for the Parks Committee. • Deephaven is literally dog heaven, and I have always enjoyed the friendly encounters I have had walking my dogs around Thorpe Park carrying a readily available, reversible and disposable plastic bag. A community dog walk and dog show would be very instructive, with possibly pet-related vendors. Dog nametags issued of the " Hello- my name is Rocky" variety.